LOS ANGELES — Cicely Tyson’s legend is being cemented into film history. NEW YORK — From the outside, the brownstone in Central Harlem looks like any other building on the block. But enter through the ground-floor door, pass through the red velvet curtains and you will find yourself among roaring jaguars, long-tailed dragons and hip-hop greats from the ‘80s and ‘90s, including LL Cool J, Salt-N-Pepa, Rakim and Eric B, the Fat Boys and Jay-Z. WALTERBORO, S.C. (AP) — Former rapper Craig Mack, best known for the platinum 1994 hit "Flava in Ya Ear" has died in South Carolina. NEW YORK (AP) — Kimora Lee Simmons has broken her public silence on the mounting sexual misconduct allegations against her former husband, Russell Simmons, offering a ringing defense of his character. Kimora Lee Simmons took to Instagram to say that she's known Russell Simmons for over 25 years and "These allegations against him are nothing like the person I have known in all that time." Every year, the Kennedy Center in Washington, D.C., presents an inspiring and entertaining evening for its esteemed honorees, and after a bit of controversy, the 2017 Kennedy Center Honors, recorded before a live audience on Dec. 3, lived up to that standard. Recognizing outstanding artists and performers, the two-hour broadcast saluting LL Cool J, Lionel Richie, Carmen de Lavallade, Norman Lear and Gloria Estefan airs at 9 p.m. Tuesday on CBS. CLEVELAND, Ohio – Bon Jovi, the Moody Blues and the Cars top the Rock & Roll Hall of Fame Class of 2018 revealed early Wednesday morning. Dire Straits, Nina Simone and Sister Rosetta Tharpe round list of inductees, chosen from 19 nominees, who will be enshrined in ceremonies at Cleveland's Public Auditorium on Saturday, April 14. CLEVELAND, Ohio – When the list of nominees for the Rock & Roll Hall of Fame's Class of 2018 were released in October, one name seemed to stand out above all others. Radiohead felt destined to take its place in the succession of recent first-ballot inductees that includes Nirvana, Green Day and Pearl Jam. But that, somewhat shockingly, didn't happen. Will LL Cool J’s Kennedy Center Honor get him into the Rock Hall? 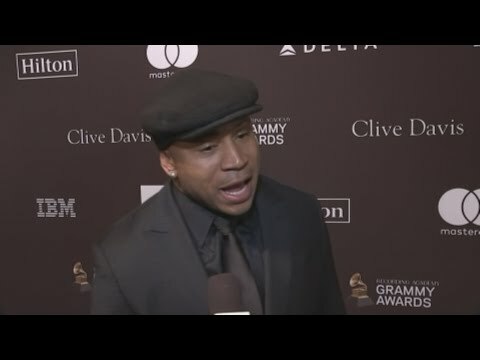 CLEVELAND, Ohio – This past Sunday, LL Cool J became the first rapper celebrated at the Kennedy Center Honors. For hip-hop fans, it's not all that surprising. With his metioric rise in the mid 1980s, James Todd Smith emerged as rap's first solo superstar. But that hasn't meant much when it comes to the Rock & Roll Hall of Fame. CAMBRIDGE, Mass. (AP) — "Selma" director Ava DuVernay and rapper LL Cool J are among the recipients of Harvard University's 2017 W.E.B. Du Bois medals honoring those who have made significant contributions to African and African-American history and culture. The school announced Monday that they will be honored at the fifth-annual Hutchins Center Honors on Oct. 4 in Cambridge, Massachusetts. The Kennedy Center arts awards program will go on. Kennedy Center Chairman David M. Rubenstein and President Deborah Rutter say in a statement that they respect President Donald Trump's decision to cancel a traditional White House reception for the five honorees. The White House reception had been scheduled for Dec. 3. WASHINGTON (AP) — This year's Kennedy Center honorees will include two singers, a television writer, a dancer - and for the first time, a hip-hop artist. Hip-hop acts are getting real love from the Television Academy this year: Chance the Rapper, Common, Snoop Dogg and LL Cool J are among the musicians nominated for Emmys. Chance the Rapper, who won three Grammy Awards this year, is nominated for outstanding original music and lyrics for "Last Christmas" from "Saturday Night Live." The rap parody about the last Christmas with Barack Obama as U.S. President plays off of Run-DMC's late '80s anthem, "Christmas in Hollis." ATLANTA (AP) — Former actress Maia Campbell has rejected an offer of help from her one-time sitcom co-star LL Cool J. NEW YORK (AP) — Jay Z is set to headline another music festival. The rapper is the top-billed act for this September's Meadows Music and Arts Festival in New York. The Red Hot Chili Peppers and Gorillaz are also listed atop the lineup. Future, Nas, Weezer and LL Cool J are among other notable acts for the three-day concert set to begin on Sept. 15 at Citi Field in Queens, home of the New York Mets. Smart Rating: 54.6Series premiere: 9/22/2009Genre: Crime drama, action, adventure, mysteryChris O'Donnell and LL Cool J star in this second show in the "NCIS" franchise, focusing on the high-stakes world of the Office of Special Projects (OSP) in Los Angeles. Highly trained agents use the most-advanced technologies available and go undercover to apprehend criminals deemed a threat to national security. Special Agent G. Callen can transform himself into whoever he needs to be to infiltrate criminal factions. His partner, former Navy SEAL Sam Hanna, is a surveillance specialist who uses state-of-the-art equipment to monitor field agents and feed them information. MADISON, Wis. (AP) — Clyde Stubblefield, a drummer for James Brown who created one of the most widely sampled drum breaks ever, died Saturday. He was 73. His wife, Jody Hannon, told The Associated Press that Stubblefield died of kidney failure at a Madison, Wisconsin, hospital around noon. He had been suffering from kidney disease for 10 years, and had been hospitalized for a few days, she said. LOS ANGELES (AP) — He may be the king of Carpool Karaoke, but James Corden says he won't be singing as host of Sunday's Grammy Awards. "There are a lot of brilliant singers there," he says, "and no one needs to hear me disrupt such beautiful vocals." Corden also says he isn't trying to be the next LL Cool J, Grammy host for the past five years. "I'm more like, not Ladies Love Cool James," he says. "I'm like Ladies Put Up With That Guy James. It's not as catchy." Smart Rating: 8.52Inflation-adjusted U.S. box office gross: $25,018,100Starring: Chris Klein, Jean Reno, LL Cool JA businessman (Jean Reno) wants to see more violence in a dangerous sport where athletes (Chris Klein, LL Cool J) already risk their lives. NEW YORK (AP) — Late-night host and "Carpool Karaoke" commuter James Corden will be behind the wheel at the Grammy Awards telecast next February. It seems OK to still call such middle-age stars as Sting, LL Cool J and even Meat Loaf by their longtime stage names. But Boy George? On Sunday night at the Myth nightclub in Maplewood, the 55-year-old British pop star came across more like Joyful George or Gorgeous George or Jocular George, depending on the moment. No matter what you call him, his two-hour performance with Culture Club, the band that made him famous, would be called a pop-soul triumph.